We sometimes take it for granted that the pills and supplements we take every day are safe, but a recent study finds that certain oral contraceptives taken by women may negatively impact quality of life. Conducted in Sweden at Karolinska Institutet and the Stockholm School of Economics, the researchers point out that not much is known about contraceptive pills, despite their broad use on a global scale. "Despite the fact that an estimated 100 million women around the world use contraceptive pills we know surprisingly little today about the pill's effect on women's health. The scientific base is very limited as regards the contraceptive pill's effect on quality of life and depression and there is a great need for randomised studies where it is compared with placebos," said professor Angelica Lindén Hirschberg. To remedy that knowledge gap, the researchers analyzed 340 healthy women between the ages of 18 and 35 to see how particular oral contraceptives affected their health. The two main ingredients of the pills were etinylestradiol and levonorgestrel, which are recommended in many countries as the first choice of oral contraception because they have the least amount of risk connected to thrombosis. Over the course of three months, participants were treated randomly with either placebos or the oral contraception pills, with neither the participants or leaders of the experiment knowing which treatment was given to which women. At the end of the study period, the researchers found that general quality of life, mood, well-being, self-control, and energy levels were negatively affected by the contraceptive pills, although depressive symptoms were not prevalent. The researchers admit that the changes were relatively small, but they say that the findings could have important clinical implications. "This might in some cases be a contributing cause of low compliance and irregular use of contraceptive pills. 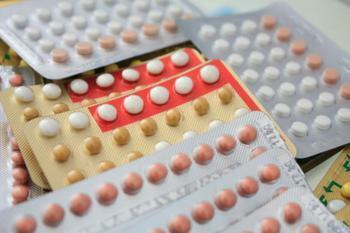 This possible degradation of quality of life should be paid attention to and taken into account in conjunction with prescribing of contraceptive pills and when choosing a method of contraception," says lead researcher Niklas Zethraeus. The full study has been published in Fertility and Sterility.